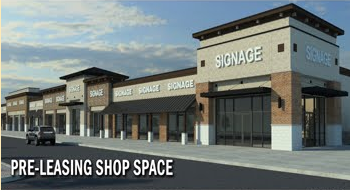 An artist's rendering of the retail center at Sandcreek Commons. After last week’s big news about Popeyes Louisiana Kitchen coming to Sandcreek Commons, I’ve been eager to check in with the city of Ammon to find out what else may be shaking. After all, they have a retail center with spaces for 15 businesses that is coming along very quickly. So far, there is one business committed to the center, Great Clips. I realize this is hardly Popeyes or Panera Bread-level excitement, but there you have it. By way of consolation, let me tantalize you with the conversation I had with Greg McBride, Ammon’s plumbing and mechanical inspector, who said he has been getting a number of calls about ventilation hoods and grease interceptors. “They never say who they are, but from the questions they’re asking I’m thinking they’re small restaurants,” he said. If you’re interested, Kohl’s and Texas Roadhouse have both filed plans for remodeling. Otherwise, on to Idaho Falls, where Java Express is planning a new building at the corner of St. Clair and Woodruff. Java has had a small drive-thru presence in this location for years. The plans at the Idaho Falls Building Department office show a 40.5-by-13.5-foot building with drive-thru lane, landscaping, parking and a patio. Java Espress is owned by Shane Murphy, who has been in the coffee-serving business for 23 years. Murphy opened Kool Beanz in Snake River Landing in May, and told me then he toyed with the idea of naming it Java Express but then thought that might be confusing to people. Speaking of Panera Bread, when do they expect to open? I see no movement at the CD Warehouse building.